Is thinning hair having a negative effect on your life and confidence? Slow growing hair can have many causes but it’s always a distressing thing to have to deal with. There are a lot of potential solutions, with varying effectiveness. Wigs often look tacky and cheap no matter how much you spend on them, hair loss surgery is risky and painful and medication is expensive and can have nasty side effects. So what’s the answer? 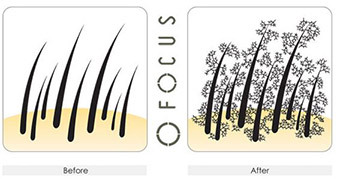 Focus Hair Building Fibers are a non-invasive way of regaining the lovely full head of hair you’ve lost (or never had!). 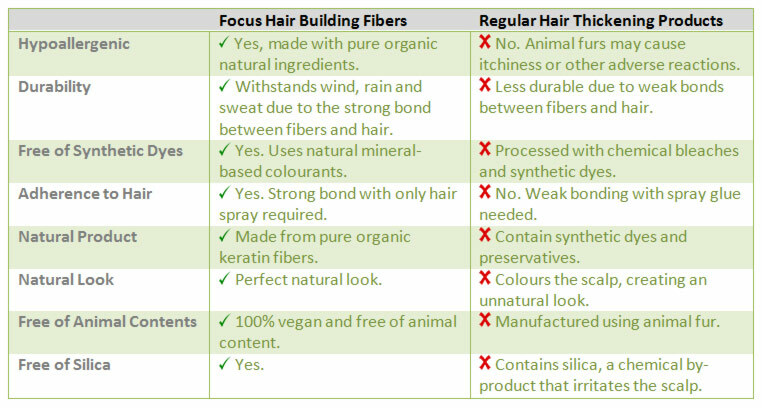 The main ingredient in Focus is keratin protein – the same chemical that’s found in the cells of your hair, nails and skin. This makes it the perfect way to bulk out your hair in a way that looks full and natural. Keratin protects your hair from being damaged by heat, humidity and stress, so using Focus hair powder is a great choice for your hair’s long term health. 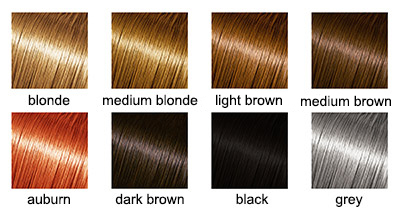 The auburn colour of this hair powder offers excellent coverage for any shade of red, blending into your own hair in a way that will look entirely natural. After setting it with hair spray, the powder will withstand sweat, wind and even rain so there’s no need to worry. People won’t be able to put their fingers on what’s making you look so much better! Keratin, Ammonium Chloride, Silica DMDM Hydantonin. It may contain FD&C Blue #1, FC&C Yellow 5, D&C Red #33, D&C Red #22, FD&C Green #3, FD&C Yellow 6, FD& C Red #40, D&C orange #4.